What i think is that the Pya will be the first and might the only choice through costs for the regular forces. But i am honest, i dont know any costs from any of this weapons, so i have to guess,and my guess is the most cost/effecient weapon for regular troops. We have to be realistic, pistols for regular forces aren't the high priority for their improvment in any primary scenario. Maybe in situations 1/1000 it could be a diffrence between life or dead. What i know from plans for new pistol for the german police wich inclueded to retire the P7 police pistol with the new P99 Walther for quite every sector, this plan was made in 2004/5.From what i had experienced through diffrent events and visitings.I have never seen any of those pistols, not during special guardance against "alleged" terrorists in Munich, each 3rd had a MP5 the rest had all the old P7 pistol. and now even when the police don't get their equipment over many years even to service, (and pistols are their primary weapon),so i doubt that will be in the military even better. The whole thing also depends on how high the budget for the new pistol equip is set. Costs of new equipment mostly influenced through the budget the MoD has set or can spend. Its kind of "milking cow" situation, when they know the budget is high they will set the prizes higher than they initialy was mentioned.And we all should be realistic here, its still a buisness they try to make money,so they will try to have influence on the result, may it be the budget increase or just how they will deal with "extra costs" that appear quite after they will get the agreement with the MoD for the new pistol. Through the limited necessary for a new pistol for regular forces i doubt that will be a short and strict process.And they will try to deal more with costs issue rather than with a quick equiping of the forces. I guess it will end up in a "flea market" situation where the MoD will holding the manufactors on "waiting loop" and to play on time to weakening their position,and making few new requirments to hopefully lower the costs. The situation will be more turtling process to whole rearming of all forces to keep the costs as low as possible a fast equipping with pistols would be wrong prioritization. I'm very sure that the "Strizh" and will be the weapon of choice for the specialized forces,its very versatile and has big spectrum of attechments wich are necassaray for special forces.The Gsh-18 will probably go as a simplier weapon also in specialized forces. 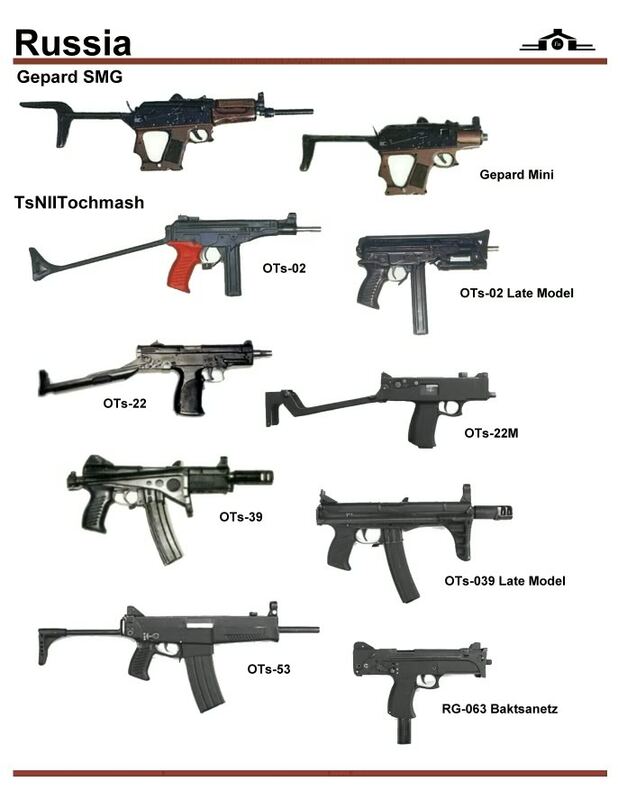 I personally would prefer to see a compact version of the OTz-33 Pernach, its low cost weapon through the rough and squared shape,good simplicity of the weapon, full automatic and has very good accuracy for an automatic pistol. The disadvantages are very obviousley for the original Otz-33,its big and to heavy also lack of ergonomic hand grips, wich shouldn't be hard to mend. I hope my "high professional" english isn't to hard to read. x2 on both of those. New variant of the Pya with Polymer frame. The weight is reduced by 100 grams, from 950 empty to 850 empty. Credit goes to Teh_Beard from MP.Net for finding the video. The manufacturing quality on this model looks much better than on previous ones imo. Steel framed handguns really have more disadvantages than advantages these days than polymer frames, so deciding to move to a polymer frame makes more sense. One thing I think the Yargin has over the Strike is that it's a DA/SA. I think DA/SA's are more forgiving for human error, and better for those with less training compared to the Strike one with its glock type trigger system. Having 9 x 19mm and 9 x 21mm PYa in service makes a lot of sense in terms of commonality, and the 9 x 21mm should offer better performance than the 9 x 19mm PYa and PM. The Strike pistol however does seem worth looking at... especially the full auto models. Makes sense. I was confused as to why they would go with the re-chambered PYa instead of a dedicated 9 x 21 mm pistol like the SR-1, but if you think about it, LE/CT special units have been using the PYa for several years now, and in much greater numbers than the SR-1. It makes sense that they would go with a design that they're used to and trust. The Strike-One does indeed seem like a very promising design, but for now it remains unproven. My guess is a few high-speed units in the FSB pick it up and field test it for a year or two, and then if they like it we see it adopted on a larger scale by other units. For now, time-tested and proven designs like the PYa and Glock are going to retain their status as the go-to pistols for Russian SOF. The Ministry of Defense plans to Special Forces "Senezh" to purchase several lots of Austrian pistols Glock. According to the chief editor of "Kalashnikov" Michael Degtyarev, these guns will need special forces for trouble-free shooting because theirs Russian counterparts did not differ much reliability. According to him, with guns Yarigina special forces soldiers have a number of problems that are caused by incomplete debugging serial production model. The quality and high fighting properties of the "Glock" confirmed during the operation of the Center of the FSB Special (Control "Alpha" and "Vympel"). In the "SENEZH" refused to comment on the report, citing a secret tasks that are purchased "Glock". In the tender documents stated that the guns are intended "to engage manpower at distances up to 50 meters." One of the special forces soldiers confirmed the publication of "The News" that the gun Yarigina not suitable for special forces - jammed "Yarygin" was found in the hand of a soldier who was killed recently in a special operation in the North Caucasus. After that, the decision was made to purchase "Glock". According to the tender documents, the following year to the military unit 92154 "Senezh" received more than 318 Austrian pistols two options - Glock 17 and a smaller version for concealed carry Glock 26. The Ministry of Defence this purchase will cost 200,000 rubles. All guns go through trial by fire and not all come out smelling of roses first time round. The Strike one seems to have been vigorously tested to ensure reliability and when it has been properly tested and evaluated might replace the Glock in the hands of the special forces and paramilitary units, while the PYa is an Army weapon that will likely be improved over time and will be the standard side arm for many. Note the PPK was widely used and also had a reputation for failing at critical times too. Glocks are AK's of pistols. They were used by Specnaz before and probably earned a good reputation. Not to mention the price. It was mentioned they gonna pay 200000 roubles for 318 pistols(or more?). So it's about 630 roubles(20 usd) per pistol. Well more precisely they have adopted the PYa, but special forces have decided to go for Glocks instead of PYa pistols. GarryB wrote: Well more precisely they have adopted the PYa, but special forces have decided to go for Glocks instead of PYa pistols. Isn't the 10 mm x 28 mm a rubber bullet round? See the following link. GarryB wrote: Quite right... how boring. As far as I know, the next more powerful Russian 9 mm round is a 9 mm x 30 mm round. Of course, that's for SMGs. For example, Gepard SMG uses it. By the way, the largest two rounds in the following picture are 9 mm x 30 mm rounds. The Gepard is probably the worlds most successful student project ever... shame it never went anywhere. I loved the idea, but I think they tried to include every possible type of 9mm ammo when they should have gone for a couple of types only. Perhaps the 9 x 30mm, 9 x 21mm and 9 x 19mm, plus of course 9 x 18mm for low cost practise. How much are those Glocks... ???? GarryB wrote: How much are those Glocks... ???? Now it really confused me. 7000 bucks for 1 pistol? You can fully equip soldier for that money. Pretty much criminal in terms of cost. Either Russian MoD is getting the workaround by the austrian company, or there is total corruption on this. But either way, I agree with Rogozin - made in Russia. Maybe start looking at private companies as well as looking to get a license to build them if they want glocks. US does this a lot. sepheronx wrote: Pretty much criminal in terms of cost. Either Russian MoD is getting the workaround by the austrian company, or there is total corruption on this. But either way, I agree with Rogozin - made in Russia. Maybe start looking at private companies as well as looking to get a license to build them if they want glocks. US does this a lot. Glocks are locally produced/assembled by ORSIS in Russia. But the whole thing sounds fishy. 1. Glocks are not jam-proof. Nothing is perfect. 2. The PYa, GSh-18 and SR-1 Vector are just as good. They can do the job. I know a few people who own the civilian (Baikal) version and are quite happy with them. The Armenian Army special forces just recently adopted the PYa and are happy with it as well. Adding private companies is just adding middle men that will add to costs... they will have to make a living out of it too so they will take a cut of the price which would make them even more expensive... not less expensive. If they want reliable then I would be looking at 9x21mm calibre revolvers with 8 or 9 round cylinders. Perhaps a zero has been added in a bad translation and they mean $650 each rather than $6,500. It is important to keep in mind this is just for special forces, and a relatively small batch as a stopgap for soldiers that need to be well equipped right now. Ironically from an operational point of view a pistol that is considered jam proof could be a liability when clearance procedures are not practised enough and back up weapons not practised with enough either. MOSCOW, October 25 (RIA Novosti) – Russia has canceled an order for Austrian-manufactured Glock pistols placed by the Defense Ministry after the prices were found to be inflated. The Federal Defense Contracts Service said Friday that the procurement process is to be investigated. A preliminary probe revealed that the Defense Ministry’s procurement agency inflated the initial contract price in a notice on its website earlier in October, a contracts service spokesman told RIA Novosti. He said that other defense, security and law enforcement agencies could buy the same guns at a quarter of the price. The procurement agency said it would pay up 210,000 rubles ($6,600) for Glock 17 handguns and 191,000 rubles for Glock 26 models. This sum covers a full set, including barrels and silencers not mentioned in the order, the spokesman said. The defense contracts service said it had raised the issue with the defense minister and proposed that an internal investigation be carried out. Deputy Prime Minister Dmitry Rogozin said Monday that the Glock pistols were clearly overpriced and that Russia should rely on domestically produced small arms.